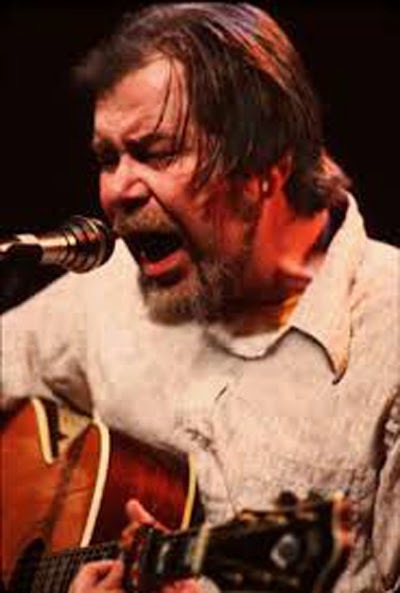 Dave Van Ronk was someone to never forget...His music was exceptional and he did all kinds. We have a lot of his records and spent an evening out with Dave and a small group after his performance many many years ago now and my husband was privileged enough to take a guitar lesson or two from him. We loved him as many did. He definitely lived as a true artist: he was different, brilliant and true to himself the whole way. He apparently lived in the heart of Greenwich Village and was a friend to most street musicians, famous and obscure and collected songs from everywhere and wrote many, like an historical troubadour! He was a great story teller, that enjoyed his stories as much as those who listened to them! His laugh was infectious! We were sad to hear that he had died, though we were amazed that he lived as long as he did. I don’t think fame was his stick....but perfection was when it came to guitar and his song collection. His body was to never forget either! He was a severe asthmatic and pickled himself rather early and smoked like a chimney! His raspy voice was his hallmark! His tall body started to grow around his guitar, conforming to its shape. His fingers were long, thin and adept. He enjoyed amazing his audience with tricks that guitarists everywhere admired and would work for years to imitate. 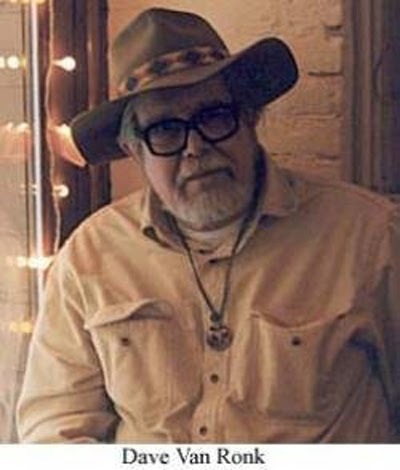 His humor, bizarre songs and stories regarding the people and experiences in his life delighted us. We saw him many times, but will never forget the evening that we helped to host him. His excessive liquor consumption just loosened his tongue, and never affected the perfection of his playing. He was quite the character, a bit raunchy and bold in his thinking! Tom and I met each other through the Folklore Center, and loved its original owner, that I think owns it again now, Harry Tufts. I was a painfully straight, artist-in-my-soul-sort-of-person, a nursing student and a “wanna be musician” that took lessons from Pat Donahue, the present guitarist on Prairie Home Companion. I was hopeless, learning only a few songs and my beautiful Martin guitar was an overindulgence for my limited musical talent, so instead of becoming a musician, I married one. My husband mostly plays electronic buttons now, though he never ceased to amaze me as to his musical talent. He sang as well and had/has? a great voice. He is the sort of musician that can imitate Dave Van Ronk’s wonderful talent, and it seems that it doesn't matter if his guitar is dusty...his skills only slightly rust where mine disappeared entirely!! I smile when I remember that I played harmonica to accompany him when he played one of Dave Van Ronk’s songs about Mississippi John Hurt! Wow...what a fun trip down a memory lane that is truly history now!! Perhaps Dave Van Ronk wasn't so famous or great, but what an influence he had on an even more obscure fabric artist and her family, who now knows other not-so-famous artists in upstate NY, Jon Katz (though he is a New York Times Best Selling Author!) and Maria Wulf who saw a movie in NY about this obscure musical wonder and chose to write about the effect of watching the story of this musician’s life and his effect on others! What a small world this is! Denver to New York to Vermont and Upstate NY. Jon writing about a movie that involved someone that influenced our culture and life of many years ago, now a mere memory...or is that all it was? I think perhaps greatness is about the ordinary affecting so many others in this world, like James Stewart, playing George Bailey, in the endearing movie, It’s a Wonderful Life! And to think that we have two beautiful young adult daughters that may not be here without the music of this all-but-forgotten, not-so-famous character, that charmed our life and sparked our marriage of almost thirty-five years! Not being great is good enough, especially in the 'round about way...affecting others in small ways that become big ways is pretty significant actually, like being a modern day George Bailey! How diminished life would be without the less-than-great that affect each and everyone of us every day! !....So here's to you, Dave Van Ronk for being you and sharing that with as many as you did! That is good enough! In fact that is really what makes this world a special place, and enhances so many lives! I am not sure "the great" do as much. They get money and fame, but you get the love and admiration of those you touched with your life!